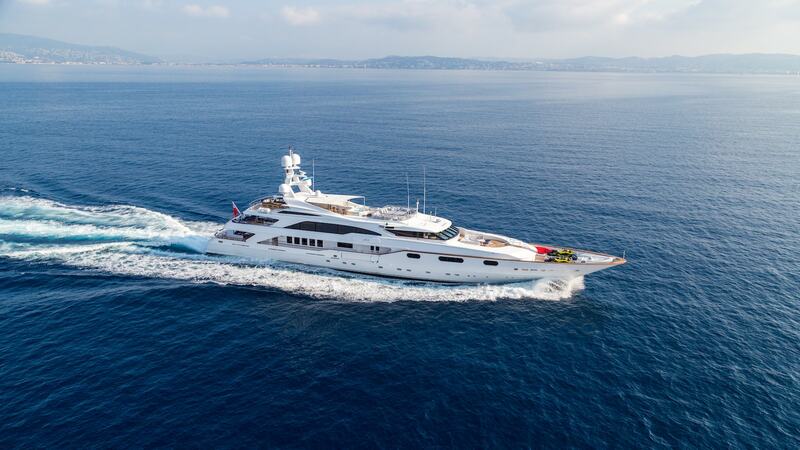 A stunning superyacht, Air stands out for her seven-cabin layout, which is rarely seen in charter yachts of her size. Following several extensive refits, the last one in 2017, the yacht is in excellent condition. Timeless styling, stunning furnishings and luxurious seating create an elegant relaxing atmosphere. Air has an outstanding crew team that includes a masseuse, beauty therapist and qualified yoga, flyboard and kitesurf instructors. She also carries a Scorpion chase tender and large water toy collection.